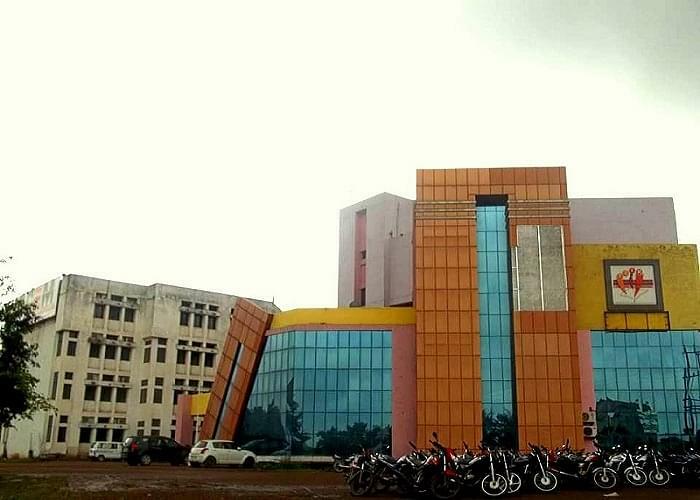 Central College of Engineering and Management aka CCEM is established in 2008, located in Raipur. The college is permitted by All India Council for Technical Education (AICTE) and associate to Chhattisgarh Swami Vivekanand Technical University (CSVTU). CCEM aim is to provide world-class education in engineering and management. CCEM faculty is also well trained and specialized in their respective fields. The college provides in-depth training in the fields of engineering, management, and science with its numerous UG and PG courses. The wide campus offers the perfect environment for studies to the students. Candidate should have done schooling under the 10+2 system or he/she should have an equivalent qualification (diploma). One should be a bonafide resident of the state or nominated student of other states. A student should have scored a minimum of 45% aggregate marks along with individual pass in Chemistry, Math, and Physics for unreserved category and 40% for SC, ST, and OBC. The student should have completed 4 years of graduation under B.E. / B.Tech. in relevant branch of engineering from a recognized university/institution or equivalent degree in an appropriate subject with minimum 50% marks for UR category and 45% marks for SC, ST, OBC category and PWD. She/he should be a bonafide resident of Chhattisgarh. Candidate should have 3 years of a degree from any recognized university/institution or 5 years integrated course with minimum 50% marks for an unreserved candidate. At least 45% marks for SC, ST, OBC and PWD category is mandatory. Candidate must be from Chhattisgarh. To get the admission in M.B.A course, the student should have appeared for any Management entrance examination like CMAT/MAT/CAT/XAT/ ATMA etc. with a positive score. Central College of Engineering and Management placement cell is strong. The placement cell of the CCEM University conducts training programs for the students, industrial visit, career counseling and many more things which helps students to face the actual interview. The dynamic view of placing students in a renowned industry has raised the bar for the institute. Below are some esteemed recruiters of CCEM. CCEM Raipur is committed to basic long-term research in frontier areas. The college is having its own R&D cell and has made concerted efforts to align its R&D and focus on the national goal of achieving technological self-reliance. The wide campus of CCEM offers the perfect environment to the students. University is having a digitalized library which helps students to cater to their needs and helps in their studies. The library is packed with 3000 online journals and has a collection of 25000 books volumes and journals. Our college should build there infrastructure and provide facility for games.